The Progress Checks accomplish the vital task of determining if a child has mastered the material after each level of the reading and writing formats. They involve a child completing reading and writing activities from the material that has been taught at that level. 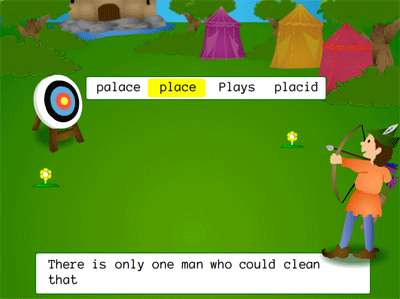 Children are asked to select words that are read to them by the program. Children are also asked to write sentences via dictation. If the results of the Progress Check indicate mastery, the child moves on to the next level. If the results indicate areas of weakness, the child is offered a series of review activities that ensure the learning becomes solid. Each Progress Check takes one session. If review is required, it takes 1 - 2 weeks.